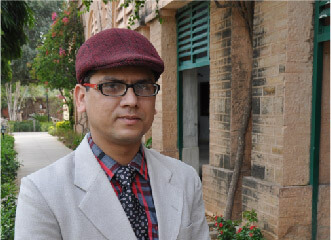 The Mathematics Department of the Scindia School is a family of 6 dedicated teachers who help the students develop computational skills, critical thinking, and problem solving skills. In the course of their learning students obtain the ability to critically assess numerical and graphical information; learn to formulate strategies for solving problems; and acknowledge the importance of being intellectually curious. Since learning Mathematics is a process that requires active involvement so the teachers constantly provide opportunities to enable the students to become engaged in the learning process. Activity based learning that allows students to explore and understand the difficult concepts on their own is keenly promoted. We understand that each student approaches problems differently hence collaborative learning and peer tutoring is used as an effective teaching strategy. This gives the young learners a chance to compare and contrast methods and find what suits them best. The teachers endeavour to provide personalised attention to each student. They use observations, class work, projects and assessment to gauge the level of the students and the necessary enrichment or remedial schedule is worked out. Technology is used extensively for differentiated learners, for simplification of complex concepts and also for evaluation purposes. The Math lab provides additional scope to students to learn and explore mathematical facts and theorems using technological tools. To add fun to learning and also to enhance students’ interest in the subject the Department conducts various mathematical competitions, quizzes, digital story writing, mental ability/reasoning etc. Math workshops have been conducted in the past for the Junior classes by resource persons from ‘Dinasim’. These enabled the children to develop Math concepts using fun activities. Our boys have learnt fractions, integers, area, volume etc while playing basketball, catching practice with rubber balls, going outdoors, measuring various shapes and many more. A workshop on Vedic Mathematics was conducted by Brainobics Education. Through this students were taught various techniques of addition, multiplication, decimal system, division, squares, square roots, cubes etc. The Department in collaboration with ‘Educational Initiatives’ conducts Asset and Detailed Assessment tests to review the performance of the students and find their areas of strength and weakness. The Mindspark assessments for classes VI and VII are a great success as they are fashioned as per the learning pace of each child. Instant feedback and remediation is the most useful feature of these assessments. Math Olympiads are also conducted to test and enhance the skills of the students. The teachers regularly participate in various mathematical workshops for self-enrichment. The workshop by Mr GS Bhalla on the History of Mathematics and making Math fun was particularly educative. Interdisciplinary and experiential learning is encouraged through Creya classes. The RB Pawar Medal is awarded on Founder’s Day to the student scoring the highest marks in Math in the Board examination. The award has been instituted in memory of former Maths Teacher Mr RB Pawar by his daughters. 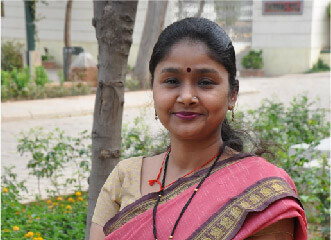 Ms Priyanka Sharma joined The Scindia School as a Mathematics Teacher in the year 2008. She has a Master's degree in Math and 12 years of teaching experience. Having served as the attached teacher of Kanerkhed and Shivaji House she is presently the Resident Tutor of Jayappa House . Her creativity and interest in Math led her to shouldering the responsibility of the much sought after PI- Club of the school. Through this she inculcates the love for Mathematics in young children turning them into budding mathematicians. She has been effectively handling the CCE of the school since its inception and has attended many workshops on CCE and Teacher development conducted by CBSE . Ms Sharma has also been meticulously conducting the PSA of the CBSE Board since 2013. Though quite a workaholic she likes reading books and watching movies in her leisure hours. She has been to Woodbridge school UK for a Teacher Exchange Program in the year 2013. Mr. Suyog Upadhye is BE Computer Science from Nashik and has a teaching experience of 14 years and taught CBSE, ICSE, HSC and Cambridge curriculum. His experience lies with the students of grades IX to XII and he specializes in teaching of grades XI and XII. He has 3 years of proven experience of teaching JEE and NEET entrances. He is equally competent to teach all Science subjects and Mathematics from Classes 9th to 12th. He is a poet and also passionate about theatre. 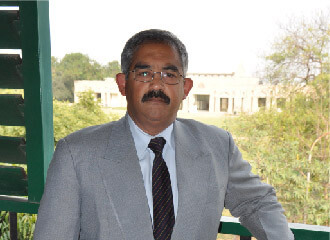 Dean of Studies Mr Dhirendra Sharma, from the faculty of Maths, has been with the school for the past 20 years. He has been an integral part of every major area of school life and played a great role in streamlining processes be it as the examination incharge, time table incharge or the head of adventure activities. A trained mountaineer from the Nehru Institute of Mountaineering his passion for adventure has made him lead a phenomenal 15 cycling and 12 mountaineering expeditions. He has also been actively involved in community service . In recognition of his continuous contribution to the International Award for Young People (IAYP) Mr Sharma has received the Valuable Meritorious Service Certificate. On the academic side his sincerity, perseverance and never give up attitude make him work untiringly towards making the, otherwise dreaded, subject simple for students. A gentle administrator he believes in giving his team total autonomy and empowering them in their effort to bring about a culture of academic rigour. His motto is to promote the academic growth of the boys and the professional growth of the faculty. He envisions The Scindia School as a place with the perfect balance between academic, sporting and co curricular excellence. Mr Nitesh Jain, from the faculty of Math is an experienced and seasoned teacher with an experience of more than 17 years. Teaching and working in the best interest of students is his passion. He believes work is worship and that no reward can match the satisfaction of motivating and teaching, to eliminate the commonly found hesitations and apprehensions among the majority of students for Mathematics. Under his able guidance, students ace in the subject and achieve desired results. He is liked by students for his friendliness and approachability. At the same time, he enjoys music; ghazals and playing the guitar. According to him, music is a big stress buster and increases the productivity when synced with academics. 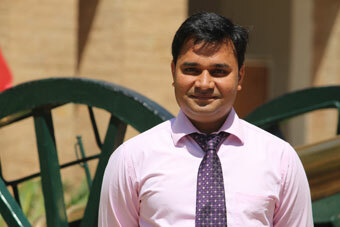 Mr Anil Pathania, from the faculty of Math, has a master's degree in Math. He has a teaching experience of 14 years in both residential and day schools. An excellent teacher he is highly admired by the students. He has been with The Scindia School since 2013 and in this short a time he has already involved himself in a wide range of activities like trekking, playing basketball, volleyball and cricket. 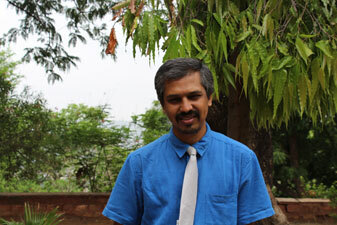 He is the Housemaster of Jeevaji House, Basketball in charge and the incharge of the Pie Club. A keen sportsman and having been a National level basketball player himself the boys look upto him for guidance to achieve sporting excellence. The parents and students of his House compliment him for having helped in the creation of loving environment of mentorship and positivity. His sense of discipline, devotion and dedication is recognised and valued by all. Mr Srijith Pillai who brings with him fifteen years of work experience joined The Scindia School in October 2015 . He has done his B.Sc. in Mathematics with B.Ed. and Diploma in Corporate Communications & Advertising. Apart from his experience in the educational field Mr Pillai has also worked with the media company, The Times of India, as an Asst. Manager (Development) for a year and a half. In addition to being a brilliant Math teacher Mr Pillai has keen interest in theatre and has co-ordinated and directed full length Shakespearean and G B Shaw’s plays in his previous school. A man of eclectic tastes his passions include Cricket, athletics, Classical music, singing and Public Speaking. He is someone who does not measure life by the number of breaths we take, but by the moments that take our breath away. He considers it a privilege that as teacher he has the opportunity of moulding young minds and is in a position to guide them in the right direction. He wants his students to be emotionally robust and resilient. Mr. Ritendra Nath Dwivedi from the faculty of Mathematics, joined The Scindia School in April 2017. 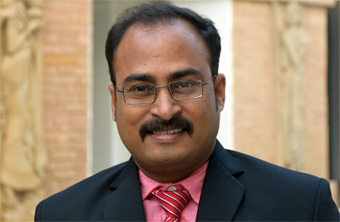 He has 8 years of teaching experience in some renowned schools of India. In his previous assignments he has worked for the Examination Department and taught the students of IGCSE (International General Certificate of School Education from Cambridge University). He is very passionate about teaching Mathematics and loves to adapt his teaching style as per the needs of the learner. Mr Dwivedi strongly believes that a teacher should be able to encourage a spirit of enquiry in his students which would be a reflection of their interest in the subject. He wishes to create in his students a genuine appetite for the subject. The Pi Club puts up an exhibition on Founder’s Day each year. This year the theme was Origami. The members made 3D models and figures based on Sacred Geometry of ancient times, Mathematical puzzles and games etc. Through various activities the Department has been able to make the students develop an appetite for the subject and understand its relevance in daily life.